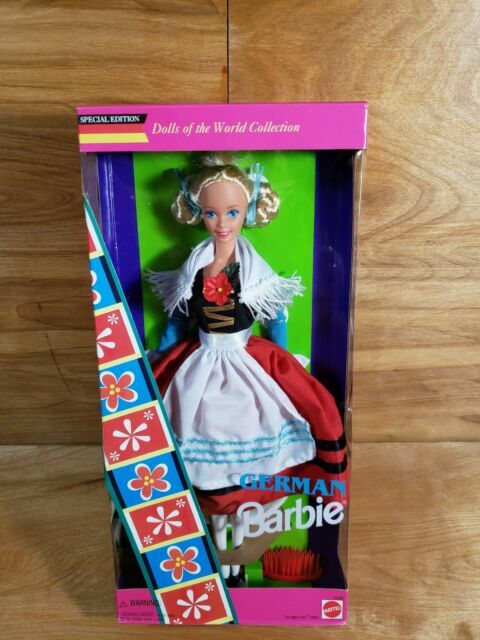 This is my 9th Barbie from the Dolls of World Collection. She is one I had been waiting a while for (as my hubby & I are both part German) & was happy the price was so good! Her face, hair, and costume are all very beautiful and she was worth the wait! This was the doll my wife wanted and she is very pleased with it. It came in excellent condition and did not smell of smoke. Cute dolls, arrived in time and in good condition. Thank you for this gorgeous doll. She is so beautiful and in amazing condition. The Mattel Brand has done it again! I definitely feel like they nailed it when coming up with the German Dirndl. Absolutely matches Deutschland in every way as well as very creative to. The box even has a little information about Germany on the back, a brief summary all about Germany.